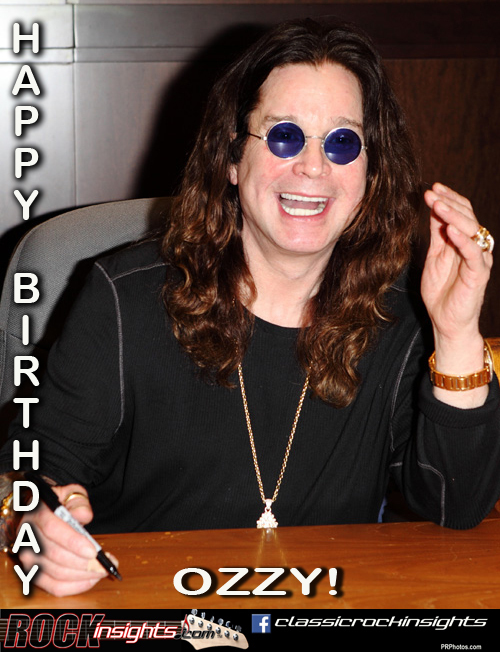 Happy birthday to the Prince of Darkness. John Michael Osbourne made his earthly entrance on this day in 1948. Molly Hatchet's Duane Roland was born 12/3/1952. Rubber Soul got its UK release on this day in 1965. The fire at the Montreux casino during a Frank Zappa concert that inspired Deep Purple's Smoke On The Water happened 12/3/1971. In '79 11 fans lost their lives in a stampede for a general admission Who concert in Cincinnatti. Also lost on this date were Faces keyboardist Ian McLagan (2014) and Scott Weiland (2015).